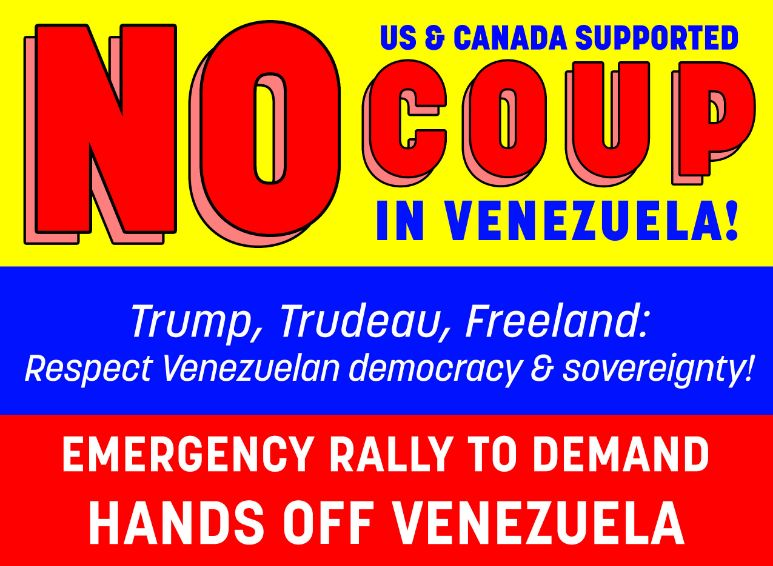 During the last two days, both the U.S. and Canadian governments have encouraged the overthrow of the democratically elected government of Venezuela by non-electoral means. 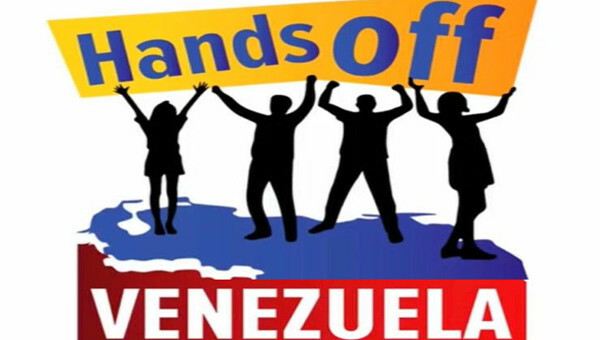 The Socialist Project calls on these governments to cease their interference in Venezuela’s internal political process and to halt all sanctions against the country. The Canadian government can best aid the Venezuelan people through strict respect for Venezuela’s sovereignty and the Venezuelan people’s right to determine their own future. On May 20, 2018 Presidential elections were held in Venezuela, and incumbent Nicolás Maduro was re-elected president for a second term with 67.8% of the vote. 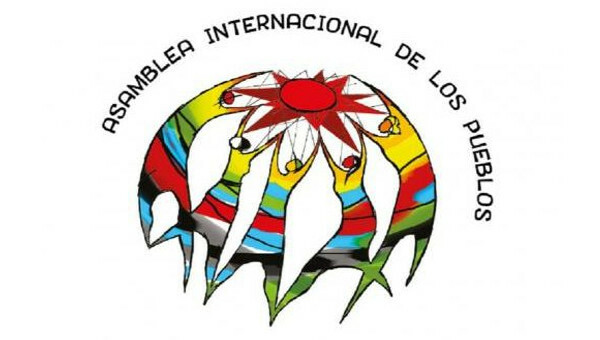 A delegation of Canadian election observers were on the ground as eyewitnesses and corroborated what international elections observers unanimously reported – the Venezuelan presidential elections were fair, transparent and represented the will of the Venezuelan people. The Canadian government, along with its allies in the Lima Group, have consistently attempted to delegitimatize President Maduro and provide unconditional support to extreme right-wing sectors of the Venezuelan opposition. The New York Times reported that the Trump administration has been actively discussing plans with rebel Venezuelan military officials to stage a coup against president, Nicolás Maduro. Over the past couple of days, the Trump administration has escalated its attacks against Venezuela including recognizing self-proclaimed opposition leader, Juan Gerardo Guaidó as interim president of Venezuela. Prime Minister Justin Trudeau echoed Trump and called upon president Nicolás Maduro to “cede power to the democratically elected National Assembly.” Juan Gerardo Guaidó is a relative unknown figure in Venezuela with no mandate from the people and whose actions have no constitutional bases whatsoever. Common Frontiers is deeply concerned with these actions and Prime Minister Justin Trudeau’s willingness to follow Trump’s lead. We consider the actions of the Canadian government to be a provocation which violates Venezuela’s sovereignty and democratic norms. This reflects interventionist policies that seek nothing less than undemocratic regime change in Venezuela. Canada’s actions will only serve to heighten the conflict and polarization facing the country with the added danger of an open civil war between supporters of Guaidó and Maduro. Accounts from Venezuela indicate at least 13 people were killed on January 23rd in the context of violent demonstrations and street blockades during the recent protests called for by Guaidó and his supporters. Canada should not be supporting U.S. led coups and be seen as playing politics with democracy and human rights in the region. 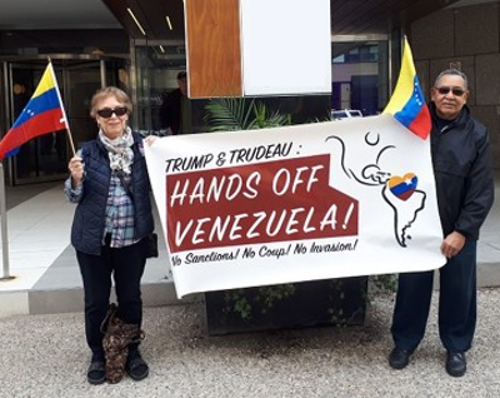 Prime Minister Justin Trudeau has consistently and vehemently condemned Venezuela, while turning a blind eye to well documented fraudulent elections and human rights abuses in Guatemala and Honduras. Democratic Socialists of America (DSA) categorically opposes any and all efforts by the U.S. government to intervene in the domestic politics of Venezuela. The U.S. has a long and bloody track record of actions to overthrow democratically elected governments, stop the spread of socialism, and maintain U.S. imperial dominance in the region. This includes the U.S. government’s support of the 2002 Venezuelan coup that led to the temporary ouster of the legitimately-elected president of Venezuela, Hugo Chávez. These imperial interventions must stop immediately; the future of the Venezuelan people, and the broader prosperity of Latin America depend on it. The role of the United States government in this unfolding situation over the last two weeks has been substantial and extremely counterproductive. Its actions have served only to deepen political divisions and decrease the likelihood of a peaceful solution to the crisis. President Trump and Vice President Pence have both expressed their full support for the unelected Guaidó as acting President, and are working tirelessly to organize other nations to do the same. Further, Trump has stated that he is contemplating a military intervention in Venezuela, and the U.S. National Security Council has indicated that it is strongly considering an embargo on Venezuelan oil imports to the United States. These actions would each have catastrophic consequences for the already suffering Venezuelan people. The U.S. government is clearly more interested in using Venezuela as a boogeyman to show the dangers of socialism than in playing a constructive role in resolving the crisis. Unfortunately the consequences of this rhetorical posturing are all too real for the Venezuelan people. The U.S. government’s recent actions to destabilize Venezuela are only the most recent in a long series of unfortunate actions it has taken over the past several years. In addition to past reckless and worrying comments made by President Trump and other members of his administration about the need for foreign military intervention in Venezuela, the U.S. government has imposed financial sanctions against Venezuela. These sanctions are putting further constraints on the importation of desperately needed food and medicine into Venezuela. The sanctions also preclude Venezuelan firms from access to U.S. credit, effectively eliminating the Venezuelan oil sector’s capacity to maintain current levels of production, let alone return to pre-2015 levels (which were more than twice as high as current levels). Given that Venezuela depends so heavily on oil exports to fund the importation of basic goods, the U.S. government’s sanctions against Venezuela’s oil sector are tantamount to direct sanctions against the Venezuelan people, whose economic security grows more precarious by the week. Both the increasingly top-down Venezuelan government as well as the fractious Venezuelan opposition, which has at times resorted to anti-democratic methods, bear significant responsibility for the current crisis and there are important critiques to be leveled against both. As U.S. socialists, we have a duty to do everything we can to stop U.S. imperialism and make the world safe for democracy and socialism; however, our role as an organization should not be to intervene in the internal politics of Venezuela. Instead, we have a responsibility to use the leverage we have to intervene strategically in U.S. foreign policy to help the Venezuelan people defend the gains made during Hugo Chávez’s presidency. To that end, we call upon the U.S. government to immediately cease and desist all attempts to intervene in the internal politics of Venezuela and break with its shameful legacy of imperial control in the region. 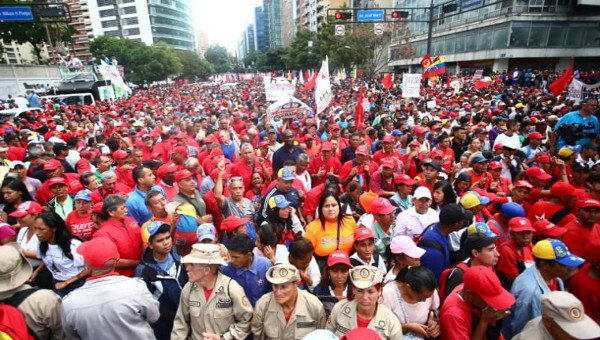 Further, we call upon DSA chapters and DSA supported political representatives to mobilize in this particularly critical moment around a campaign of solidarity with the Venezuelan people, aimed specifically at reversing the U.S. government’s disastrous and counterproductive sanctions against Venezuela. 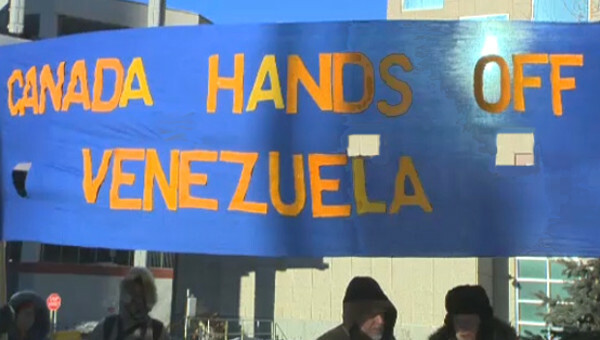 Under the Trump administration, aggressive rhetoric against the Venezuelan government has ratcheted up to a more extreme and threatening level, with Trump administration officials talking of “military action” and condemning Venezuela, along with Cuba and Nicaragua, as part of a “troika of tyranny.” Problems resulting from Venezuelan government policy have been worsened by U.S. economic sanctions, illegal under the Organization of American States and the United Nations – as well as U.S. law and other international treaties and conventions. These sanctions have cut off the means by which the Venezuelan government could escape from its economic recession, while causing a dramatic falloff in oil production and worsening the economic crisis, and causing many people to die because they can’t get access to life-saving medicines. Meanwhile, the U.S. and other governments continue to blame the Venezuelan government – solely – for the economic damage, even that caused by the U.S. sanctions. Now the U.S. and its allies, including OAS Secretary General Luis Almagro and Brazil’s far-right president, Jair Bolsonaro, have pushed Venezuela to the precipice. By recognizing National Assembly President Juan Guaidó as the new president of Venezuela – something illegal under the OAS Charter – the Trump administration has sharply accelerated Venezuela’s political crisis in the hopes of dividing the Venezuelan military and further polarizing the populace, forcing them to choose sides. The obvious, and sometimes stated goal, is to force Maduro out via a coup d’etat. The reality is that despite hyperinflation, shortages, and a deep depression, Venezuela remains a politically polarized country. The U.S. and its allies must cease encouraging violence by pushing for violent, extralegal regime change. If the Trump administration and its allies continue to pursue their reckless course in Venezuela, the most likely result will be bloodshed, chaos, and instability. The U.S. should have learned something from its regime change ventures in Iraq, Syria, Libya, and its long, violent history of sponsoring regime change in Latin America. Neither side in Venezuela can simply vanquish the other. The military, for example, has at least 235,000 frontline members, and there are at least 1.6 million in militias. Many of these people will fight, not only on the basis of a belief in national sovereignty that is widely held in Latin America – in the face of what increasingly appears to be a U.S.-led intervention – but also to protect themselves from likely repression if the opposition topples the government by force.